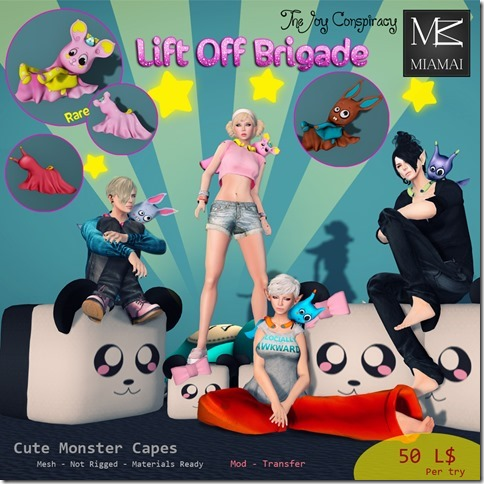 It is Arcade time again and Miamai is there! The Faery Headpieces will entice you to embrace your magical and whimsical side. Try your luck and collect all 12 commons and 3 very special Rares! 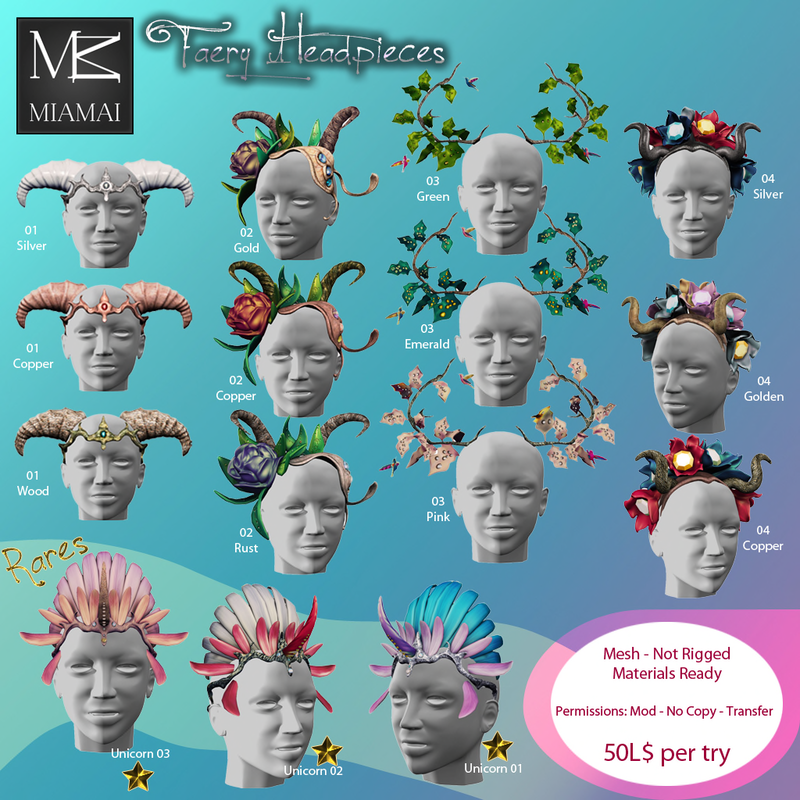 All of the Faery Headpieces are 100% original non rigged mesh, materials, and modify so you can adjust them! 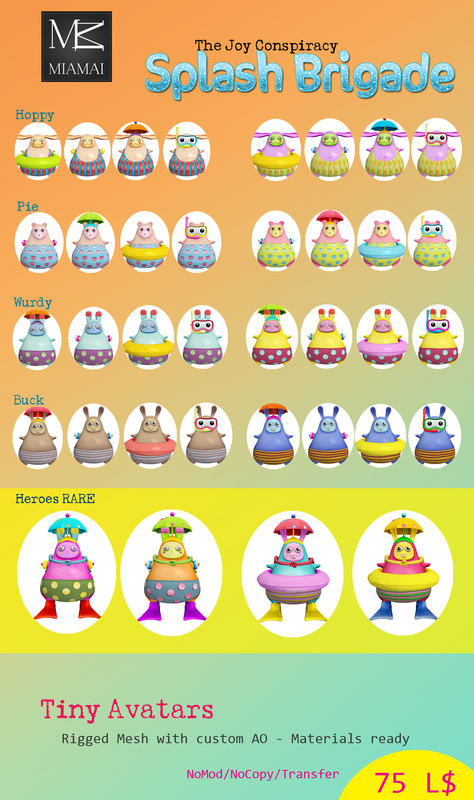 Summer is here and we have tiny mesh avatars ready for fun in the sun and water! 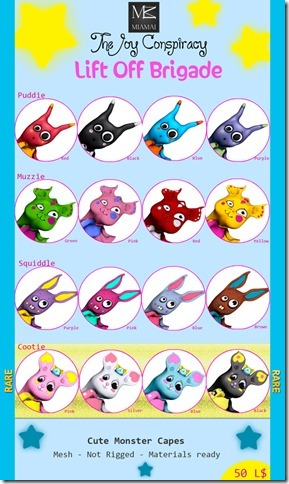 The Halloween Balaclavas from The Critters Society! We like it, that’s why the store is packed with pumpkins and random spooky stuff. We even set up a victorian house in the corner of the sim (you are welcome to come and take spooky pics!). So I created the most cute (and a bit creepy) hand knit balaclavas for our store! They are a gacha machine item, 50L per try, unisex, will fit most shapes. 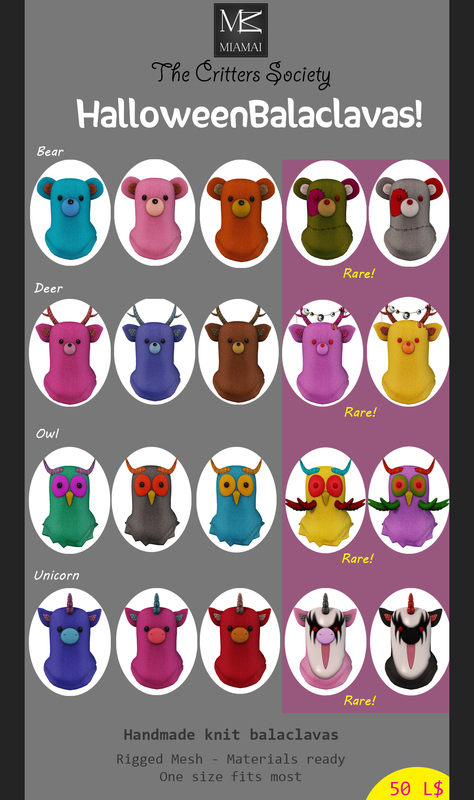 Every animal has 2 RARES! Because it’s Halloween and there should be more rare-happiness around! Yes, another halloween goody for you. 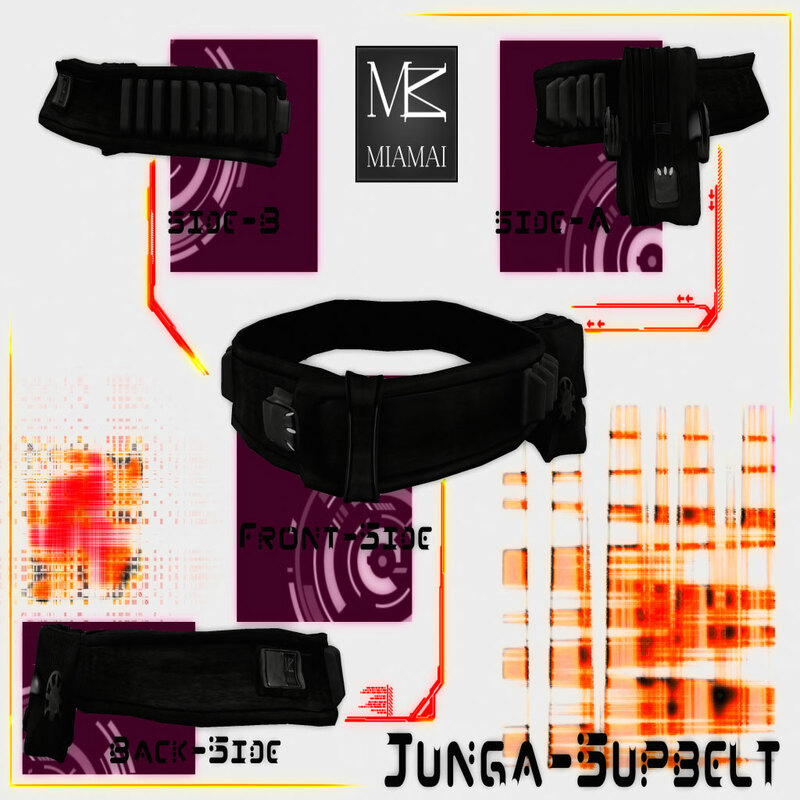 A funky unisex belt – the JUNGA – resizeable for male and female shape. Only L$50. Find it amongst the scary-ness at the TP point.